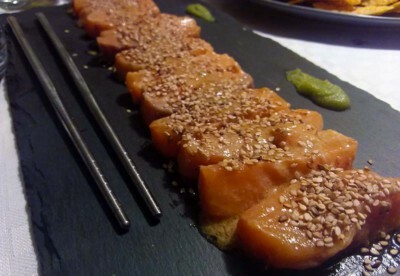 Salmon Tataki is at a time and is very tasty. You can do as the picture or can be shaped dice and combine it with avocado serve as a drum. What I did last year and I decided to do it alone.